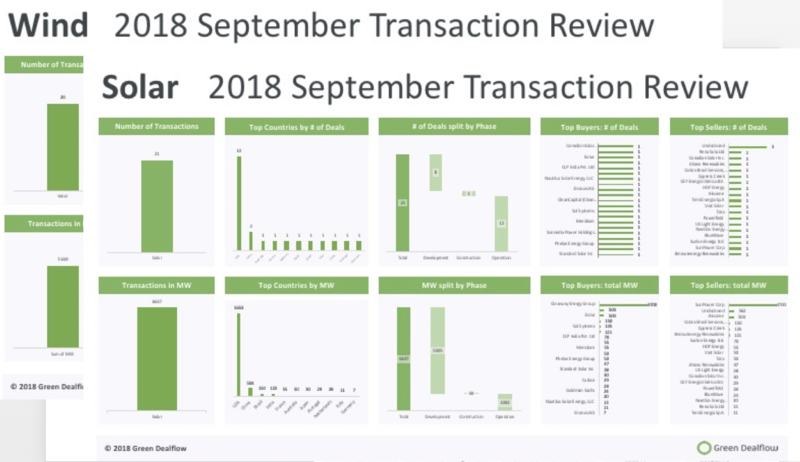 This week, Green Dealflow published its monthly transaction activity report of the solar and wind industries for September (access it here). The report is built from Green Dealflow’s transaction database that tracks equity transactions of solar and wind projects around the globe. Altogether the month of September has been highly active in both solar and wind deals with 41 transactions overall mounting to 14.296GW (gigawatts). In the solar industry, the report records 21 transactions amounting to approximately 6.6 gigawatts in gross capacity transacted and as for the wind industry, the report records 20 transactions totalling to about 7.6 gigawatts in gross capacity transacted.